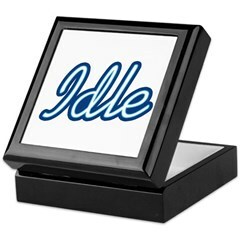 This funny spoof design simply reads Idle but in a familiar font style. If you are decidedly not American's next idol due to laziness or lethargy, this funny Idle design is for you! Great for anyone who loves laying around watching Idol. 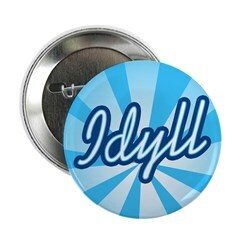 This funny spoof design simply reads Idyll but in a familiar font style. 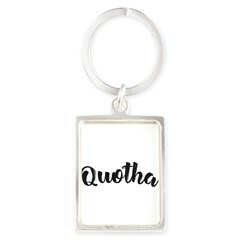 If you prefer poetry in your idolatry, this great design is for you. A cute design for poets and wanna-be Idols. This fun design for fans of TV's popular American Idol is inspired by video game ratings. Warn those around you that you're a big American Idol fan. Rated I for Idol fan!